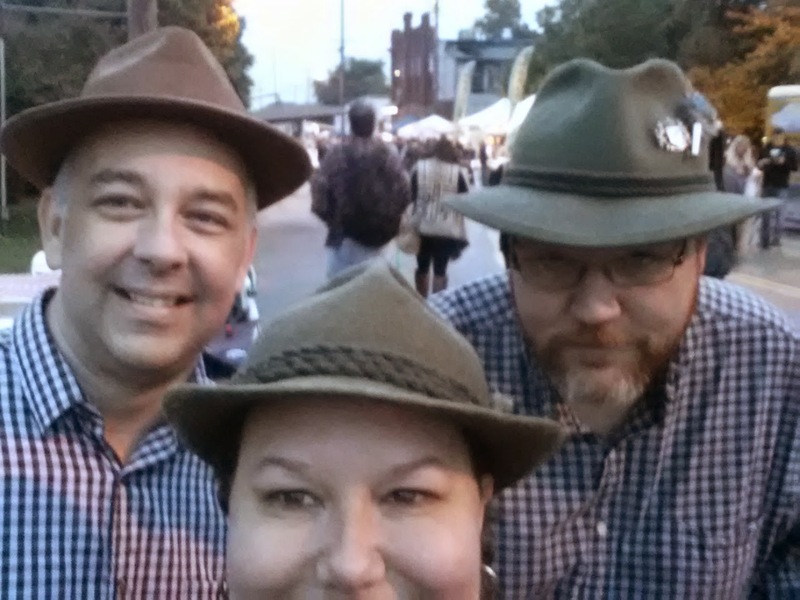 This weekend was Oktoberfest in Nashville. I missed it last year because I was down in Atlanta, tending to Dad after his stroke. And Mom, for that matter. This year, I didn't know if I'd be able to go - because Work Day in the mountains would have kept me out of Nashville, even if the stroke hadn't. But yesterday, at 1:30, Matt and I made the scene. And it was a damn good scene. And since my liver is in decent shape, I decided to partake of a half liter of Nashville's finest brew - Yazoo Brewery's Gerst. It was SO GOOD. I got a nice buzz going. I'm also wearing my father's hat. It was purchased long enough ago that the label reads, "Made in W. Germany". I am happy. I think Dad would have been happy for me.